Flavor: earthy, robust flavor that has substance but is not too assertive. An interesting tea visually and taste-wise in the cup. 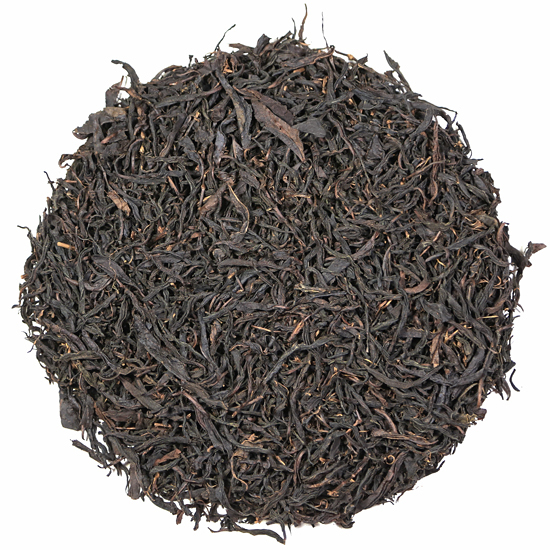 Joseph Hawley’s Smugglers Blend™ is our interpretation of a “smokey” style Russian Caravan blend. It is named for a Northampton resident and lawyer, Joseph Hawley, who was influential in plotting the Boston Tea Party. We thought he deserved to have a tea named after him in honor of his stand for ‘no taxation on tea’. On December 16th, 1773, a band of sixty American patriots calling themselves the Sons of Liberty dressed as Mohawk Indians and boarded three sailing ships docked in Boston Harbor and proceeded to toss 342 chests of tea overboard into Boston Harbor. These ships – the Dartmouth, the Eleanor and the Beaver – were owned by the British East India Company, and had arrived a few days earlier loaded with cargos of tea for the colonists. Frustrated and angry over years of taxation imposed upon them by England for items such as tea, sugar, glass, paper, coffee and wine, colonists rebelled in 1767 by boycotting English goods. 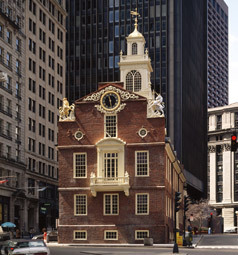 Meetings were held in the Old State House to discuss the best way to protest the unfair taxes. Colonial merchants supported this boycott, and began smuggling ‘contraband tea’ from Holland, which provided residents of Boston with their daily tea yet imposed no tax on the colonists. 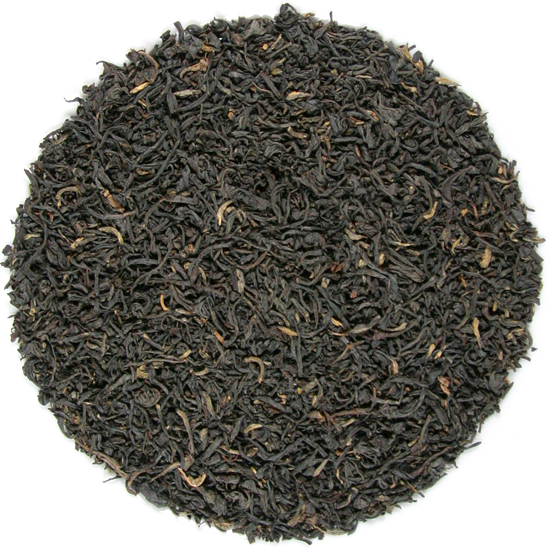 The smuggled tea began to cut deeply into the sales of British tea. In an attempt to empty their warehouses in England of un-sold tea, the three ships were sent to Boston harbor to attempt to reclaim the colonial tea market sales. The British had devised a scheme to sell this tea at a very low cost, which would put the smugglers out of business. But, as the colonists quickly realized, this was simply a trick and would ultimately result in their being vulnerable once again to‘ taxation without representation’ from England. 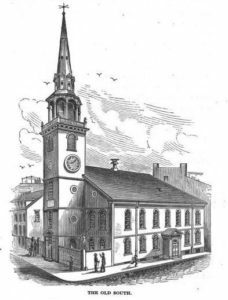 The time had come for the patriots to take a stand with the British and to decry ‘enough.’ On December 16th, 1773 a group of over 5,000 townspeople gathered at the Old South Meeting House to request to the Governor of Massachusetts that the ships laden with tea be turned back to England. Late in the afternoon of December 16th the Governor announced that he was refusing this request and furthermore demanded that the colonists accept the shipment of tea. Feeling that there was little else to be done, the patriots, led by Samuel Adams, enacted a plan that they had devised some weeks before. This act of rebellion by the colonists, which came to be known as the Boston Tea Party, released smoldering feelings of resentment toward England. Similar protests followed in the port cities of Philadelphia, Charleston, New York and Annapolis. Pressing for independence and self-rule, the colonists stood their ground and fought for their freedom against England in the American Revolutionary War of 1775. A new nation was about to be born from these troubled times – with tea as the catalyst. Major Joseph Hawley, of Pudding Lane, Northampton, a noted lawyer, town clerk, selectman and representative to the General Court in Boston was heavily involved in hatching the protest plans for the rebellion against England. It is documented that in 1768 Joseph Hawley brought two pounds of smuggled tea home to Northampton: one pound for his family and one for his cousin. He worked alongside Samuel Adams and John Hancock and was notable for his fiery oratory at meetings. In the days following the Boston Tea Party, Joseph Hawley was elected to the 1st Continental Congress in Philadelphia, a meeting of representatives from the colonies to determine future plans and protests against English rule. Unfortunately, he was unable to attend this historic meeting and John Adams went in his place. To salute the efforts of Joseph Hawley in the fight for freedom we have created this special blend of tea. In formulating this tea, our goal was to replicate as best as possible the style and flavor of the tea that was being smuggled from Holland. We have researched existent historic documents of the Smith and Van Berchem Tea Company formerly of Amsterdam, one of several Dutch tea companies in operation during this period. From these documents, we gleaned insight into the teas they were importing from China at that time. With the rebuke of the English traders by the colonists following the Boston Tea Party, Dutch traders were able to capture tea sales in New England. 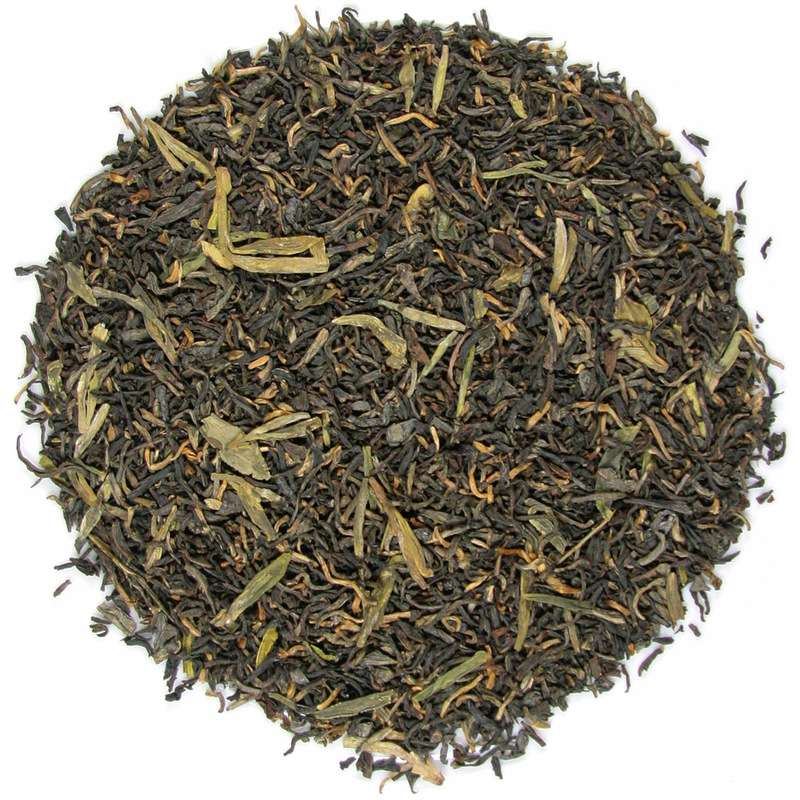 Our tea blend is an historically correct rendition of the dark, leafy tea blends that the Chinese sent to the West from the port of Canton during this time, and the tea that Joseph Hawley exercised his independence to buy and smuggle back to Northampton. 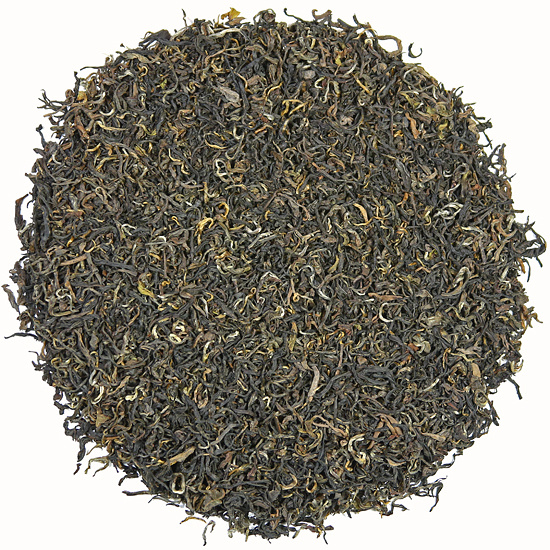 It is blended from several types of tea from several years’ harvests. Despite the fact that the Boston Tea Party was the pivotal juncture that turned many colonists into staunch coffee drinkers, tea drinking and strong black tea blends remained popular in a young America. The Bay Psalm book (The Whole Booke of Psalmes Faithfully Translated into English Metre) is the first fruit of the American press. It is not only the first book printed in British North America, it is also the first book entirely written in the Colonies. It was printed in Cambridge, MA in 1640, just twenty years after the landing at Plymouth. Of the first printing of 1,700 copies only eleven copies are known to have survived.